Zactomodels is a small aftermarket company that does some of the most incredible engineering and casting to correct selected beloved subjects. This time around, they've produced the first of several nice missile options for modern Russian fighters. In the dogfight missile department, the very capable R-60 (AA-8 Aphid) armed the previous generation of fighters and was replaced with the R-73 (AA-11 Archer). Nevertheless, the R-60 could be seen under everything from the MiG-21 to the MiG-31 as well as on many Sukhoi fighters as well. The R-60 is an infrared homing missile that replaced the K-13 (Atoll) series of IR missiles, but unlike the Atoll, the R-60 had an impressive flight envelope that made the missile effective against highly maneuvering targets, hence it was the frontline dogfight missile prior to being superseded by the R-73 (AA-11 Archer). If you're a student of Soviet airpower, you'll know that the K-13 (Atoll) was a copy of the early AIM-9B Sidewinder and later variants of the missile paralleled developments within the Sidewinder family. This parallel seemed to end with the release of the AIM-9J, so while the US continued to advance the Sidewinder airframe through the impressive AIM-9L/M to the current (and awesome) AIM-9X, Soviet engineers decided to deviate to a new family of missile airframes with the dogfight mission falling on the R-60. 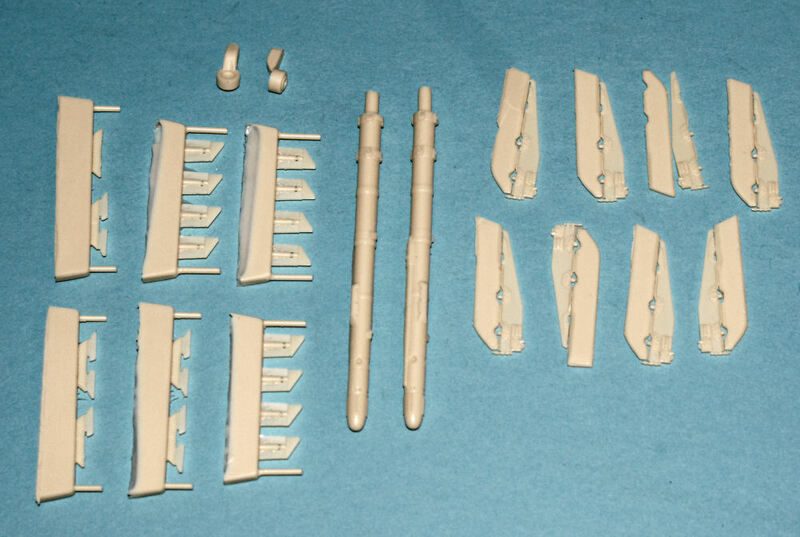 In this release, Zactomodels has produced the R-60 in 1/32 scale and this set nicely replicates the 12 fins on each missile airframe. 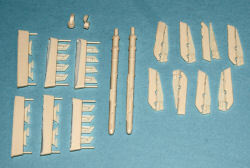 In fact, Zactomodels provides a spare set of each of the forward fins 'just in case'. As with all of the sets produced by this company, these Aphids are very nicely cast and are just waiting for assembly, painting and some light weathering to help bring out all of the finely cast details. So which kits would use this set? You'd find these on the Revell or Trumpeter MiG-21MF, the Revell or Trumpeter MiG-29s, or on any of the Trumpeter Su-27s. The one kit these missiles would definitely be at home on will be the upcoming MiG-23 Flogger kits from Trumpeter. If you want to put the best-looking weapons on your large-scale Soviet, Russian, or Warsaw Pact fighters Zacromodels is the place to shop! You can learn more about this and other project from the Zactomodels website at http://www.zactomodels.com. My sincere thanks to Zactomodels for this review sample!